The words that I speak unto you, they are spirit, and they are life.—St. John vi. 63. Here our Lord most plainly tells us that there is such a thing as heavenly bread,— nourishment given to the souls of men,—which shall be to them eternal life, in like manner as food given to the body sustains the natural life. He says, moreover, that He Himself is that bread, that He is that bread of life, come down from heaven to give Himself to men for the life of the world; and, finally, to declare this truth in its most forcible and unmistakable form, He says, "The bread that I will give is my flesh, which I will give for the life of the world." "For my flesh is meat indeed, and my blood is drink indeed. He that eateth my flesh, and drinketh my blood, dwelleth in me, and I in him. He hath eternal life, and I will raise him up at the last day." It is not surprising, then, that the Jews who heard our Lord say this, understanding his words only in a natural sense, exclaimed, in wonder, "How can this man give us his flesh to eat?" Nor even that the disciples, when they had heard this, said, "This is an hard saying; who can hear it?" Yes, it is an hard saying, if the Lord's words are like human words, having only a finite natural meaning. But not such are the words which God speaks. And Jesus, when He knew that his hearers were disturbed by this saying,—too hard for them to comprehend,—explains Himself in these simple and memorable words: "It is the spirit that quickeneth; the flesh profiteth nothing: the words that I speak unto you, they are spirit, and they are life. It is not, then, of natural flesh and blood that He has been speaking. Natural flesh or bodily food does not give life to the soul. The bread of heaven, the flesh and blood of the Lord Jesus, must be something spiritual if it is to quicken, to give eternal life, soul-life, to men. It must be the flesh and the blood of his Divine, and not of his natural, earthly body that he is speaking when He says, " He that eateth me, he shall live by me!" The flesh of the Lord's Divine Body is the Good of his Divine Love: the blood of his Divine Body is the Truth of his Divine Wisdom,—- Good and Truth from the Lord received into the soul are eternal life in man. The man who lives by the Lord, in receiving and appropriating in his soul and in his spiritual life the heavenly bread of Divine Good and Divine Truth, he has in him even now the everlasting life, and in this life he shall be raised up at the last day. This is what it is to dwell in the Lord and to have the Lord dwell in us. For this is conjunction of our life with the Lord. This bread of heaven — the good of love communicated to our affections, the good of wisdom communicated to our understanding from the Lord's Divine Humanity—this is the Spirit that quickeneth, that giveth immortal life. But how does the Lord actually give us this spiritual food from Himself? How did He give it then ? How does He give it now ? The words above quoted answer our question. The Lord has said that men receive their soul's life from Him; and He has said that this life is not got by eating natural food, such as the "fathers did eat in the wilderness and are dead!” but that it is got by the Spirit; for the Spirit and not natural flesh is what gives life. And now He tells us how He gives us this Spirit and Life: "The words that I have spoken unto you, they are Spirit and they are Life." The Lord's words themselves Spirit and Life! Here, then, is where men shall feed their souls ; here is where men shall eat and drink spiritually of the Divine Body of the Lord. Here in the Word of God, in the words which the Lord speaks to men, which words are verily Spirit and Life,—here men shall verily find, and are enabled to take into their actual daily life, the Divine Good of Love, which is the Lord's flesh, and the Divine Truth of Wisdom, which is the Lord's blood. Here in the Holy Scriptures is the bread of heaven, the flesh and blood of the Lord's Divine Humanity given from heaven, yea, from God Himself, for the life of the whole world. He that, from the Word of God, eateth of this bread, shall live forever, and God will raise him up at the last day. For the Divine Good imparted to men through the written Word of God is meat indeed, and the Divine Truth here imparted to men is drink indeed. Directly from this Word, from reading, loving, and obeying it themselves, or indirectly through the teaching and influence of others, all men today have whatever they have of spiritual life. For the Word is God's revelation of Himself to men; through the Word God gives Himself to men; and in the Word men must eat and drink of the only food that can impart eternal life to the soul. By the Word we mean that Word which God has given us in the Holy Scriptures; we mean the Word not only in its language, but in its institutions, its ordinances, and especially in the holy Sacraments. The Sacrament of the Lord's Supper is the Word enacted,—uttered in actions, and not in speech or thoughts merely. So in Baptism, and in all the ordinances of Christian worship, which are enactments of the Word, or the literal Word carried into act. These are still the Word, and as such have the Spirit and the Life of the Word in them. When we read in the Scriptures the Lord's Prayer, we receive the Word in our thoughts; when we pray in these words, the Word becomes more than a thought in our minds,—it becomes a form, an act. When we read of the Lord's institution of the Holy Supper, the Word is then in any mind a thought. When we actually go forward and present ourselves at the Lord's table and take the bread and the wine bodily, and thus do this holy rite of worship in remembrance of Him, and not merely read of it and think of it, the Word of God is thereby uttered or expressed in the most powerful manner possible. But, besides uttering or enacting the Word, translating it from speech to actions, as is done in all that may be comprehended under the term of preaching the gospel, which term includes all the external ordinances of worship, — besides thus declaring the Word of God, we are also commanded by the Lord to do it. “Blessed are they who hear the Word of God and do it." The doing the Word is something quite different from performing its Divine ordinances. When we keep the Divine Commandments in our daily life, we do the Word of God,—we make it a principle of our life. The Word thus becomes a thing of life with us, not a momentary ceremony or act of external worship. Doing God's Word in the daily life is actual religion; performing the ordinances of Divine worship as instituted in the Word is the means to this religion. Reading the Word is not doing it, and yet we must read the Word in order to do it. And the holy Sacraments, preaching, and other Divine ordinances to be practiced by men, are reading the Word in actions, rather than in silent contemplation of the printed page. But, nevertheless, the Sacraments and all the rites of worship which instruct, influence, and help men in leading the religious life, these remain just as truly the Word of the Lord, since they are founded or instituted in the Word, and as such they are likewise the means of spiritual nourishment to the soul, for they are Spirit and they are Life. And from the Word in its written volume, or in the enactment of its sacred rites of worship, comes directly or indirectly all the spiritual sustenance which men in this world receive, and by which they can be regenerated and brought into the heavenly life. There are indeed many people in Christian lands who do not see the Word of God nor hear it from year's end to year's end, who yet live under its sanctifying influences as felt in the moral and religious sense of society about them. It may be only in the sound of the church-bell, or the sight of the church-spire, or the simple outline of the cross surmounting a church-gate or pinnacle, or the sacred picture on the wall or in the window, or the sight of a child praying, or the voice of a street-preacher, or the taking of an oath on the Holy Bible in the civil court; who can tell all the thousand voices by which the Word of God in a Christian land speaks to men in all conditions of life, and awakens in their minds that " thought of God" which is the first thing that opens heaven to their souls ? The Words of the Lord are Spirit and Life. Like the atmosphere which we cannot see, but which is full of mighty agencies for producing physical effects, so the Word of God in its spiritual outgoings in a Christian community pervades everything,— it influences opinion, feeling, behavior,— and makes itself felt by those who rarely or never think definitely of its existence. So little do men know of the Spirit of God's Word, whence it cometh and whither it goeth, that learned men, living in the light of Divine Truth, write treatises on immortality, God, the soul, and spiritual life, — about which they would know nothing at all except for a primitive Revelation from God, and yet declare that the light is all their own, human light, that of merely human reason and intelligence, and that whatever of God is known at all has been found out by their reasonings, and not by Divine communication! Spiritual Light and Life all comes from God alone to men, just as all natural light and life comes from the sun of our universe, and it is the Word of God which is Truth Divine, or God Himself in the Word which gives spiritual light to the world. God is the Light of the world. And the Spirit of life goes out from his Word, like light from the sun, through the social and moral atmosphere of society. But for this there would be no such thing among men as a sense of justice, of mercy, of right, of duty, of conscience, of faith, or the hope of immortality. Again, there are whole nations, the heathen nations, as they are called, who have not the written Word, and who yet have religion, who worship a Deity, who have a Divine law of right and wrong. Whence do they have these ideas of the Divine, the good, and the true? From themselves,— their own thinking out? From their perverted religion of mythology and idolatry? No ! So far as they have a single ray of Divine Truth, so far as they have the Truth at all, they have it from the Word of God. And how do these heathen nations have the light of the Word? How can they, too, live by its Spirit and its Life, and so inherit the life eternal? They have the Spirit and Life of the Word in two ways. First, outwardly; by tradition, which has preserved in their religions something of the primitive Word or revelation which God made to man in his Golden Age of innocence, symbolically described by the Garden of Eden, and referred to in the sacred traditions of all nations that have a literature and a history,— that holy celestial Church on earth wherein God "talked with man." The Truth then given to mankind has still been preserved, in broken fragments, it may be, but still in some measure, even among the heathen, the idolatrous. It is from this gleam of light from the primitive Word that they know that there is a Deity, and that there is a law of right and wrong. They have also, some of them, the light of the Word through their fellowship with those Christian nations which have the written Word, through their outward commercial relations, and their knowledge of the world's history. But there is, secondly, an inward way by which the Spirit and Life of the Word of God reaches and quickens these heathen nations. It is through the spiritual communion of earth with heaven, of human beings here with good spirits and angels there. 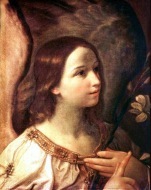 The Word which we have here on earth in the letter exists with the angels in heaven in Spirit and in Life, and its spiritual meat and drink is given everywhere to the souls of men by the ministries of angels, and by direct inflowing from the Lord, the Divine Word Himself, according to the various capacities of men to receive it and live by it. The Spirit of the Word of God is like the sunshine, which embraces the whole earth in its warm, life-giving rays. As Divine Life flows down and becomes our natural life through the visible sun of our universe, so the Divine Word flows spiritually down to enlighten the whole world through our visible and literal written Bible. As the whole body lives from the blood sent pulsating to every minutest fibre from the central heart and lungs, so the whole race of man on earth lives spiritually from the Spirit and Life emanating from the Lord's written Word on earth, and from the Church where it is known, received, and applied to the life. We may not, indeed, understand how this is accomplished, but it is enough to know that it is God's wisdom and God's love that accomplishes it, and "his ways are past finding out." The Words that God has spoken to us are Spirit and Life,—they are the soul's meat and drink. Spirit and Life are not confined to space or subject to material, visible agencies. We hear their sound of the Spirit in our written Word, but we know not whence it cometh or whither it goeth. The Spirit and Life of the Word are as wide and as infinite as God. "Their sound is gone out into all the earth, and their words to the end of the world! There is no speech nor language where their voice is not heard!" There is one Word, one life-giving Spirit, one Saviour, one God, for all the earth, all people, all worlds. To us this life-giving Spirit is given clothed in the literal sense of our Holy Scriptures. It resides in it as the soul in the body of man. But even with man his soul's influence and life may extend where his body is not,— through miles of space, through ages of years! How much more with the Divine Infinite Spirit of Truth, which, while it is revealed in the body of our written Word, yet pervades all the heavens and the spiritual world everywhere, and gives to every man the spiritual sustenance his soul needs! The heathen nations, then, have the Word of God outwardly by remains of revealed Truth from the primitive Word handed down in their sacred traditions, and inwardly by the all-pervading, all-illuming Spirit of God, the sole Light and Life of man. But are there those in this day who, when told that the Words of God are verily Spirit and Life, and, therefore, that men must eat and drink of the Divine Good and Truth given to us men in the written volume of the Holy Bible if they will have eternal life,— are there those who will exclaim, with the Jews of old, "How can this man give us his flesh to eat?" How can this printed book give immortal food to the souls of men? and who murmur with the disciples that "this is an hard saying"? Then it is because they know and believe not the Divinity of this Son of man. They know not that the Bible is Divine, that it is full of Divine Life, that it is the great medium by which heaven and earth, man and the Lord, may come into spiritual union, and by which the Lord may give us the flesh of his own Divine Humanity to eat. They think the Holy Bible is like any other book, merely a human composition, containing nothing deeper than what we see on the surface of the letter, containing only human, finite ideas and narrations that relate to the earth and natural visible things. Like the Jews, who regarded Jesus as only human like themselves, they exclaim, "How can this man give us his flesh to eat?" But if they knew that it is not man but God that dwells in the written Word,— God the Life-Giver, God the mighty Redeemer, God who, by his Word, created the heavens and the earth, and who now, by his Word, creates anew or regenerates the soul of man,—would they then doubt that these spoken Words of God are verily Spirit and Life, and that in them the soul finds its meat and drink unto life everlasting? Spirit that is in it, its meaning, its moral and spiritual power in the mind of man, this is Divine, this is God; for this is the Word that is ever with God and is God. The words that we utter are to our ears but sound, vibrations of air ; but to the mind they are more than matter: they are thought, thus spirit, and in this sense ourselves. So in the higher Divine sense, God through his Words, spoken not to our outward hearing, but to our hearts, gives to us of his infinite Spirit and Life. In his Word He gives us of his flesh to eat. Should we not indeed feed upon it with our souls, and be thankful? We are very apt to fall short of the truth in thinking of the Word of God that it is "Spirit and Life," because it has an internal meaning or spiritual sense! This is, indeed, true, but not the whole truth. The Word of God not only means, when rightly interpreted, spiritual things, but it is Spirit and Life! It is Spirit and Life to every one who devoutly and affectionately reads it with a view to living by it, whether he knows anything of the spiritual sense or not. For by the Word, read affectionately by man, the Lord and the angels come into close union with him and with the Church on earth ; and when the Lord is near his Life-Giving Spirit is near, and flows in hidden ways into the secret chambers of the soul, and springs up there in fountains of everlasting life. "The Words that I have spoken unto you, are spirit and are life." "The Bread of God is He that cometh down from heaven to give life unto the world. I am that Bread of Life." So closely does our Lord connect in his teaching his own gifts of love and truth with the gift of the Word which He has spoken. He is the Bread of Life. His spoken words are Life. To his Word, then, we must come for our Bread of Life, for our soul's meat and drink. Let Christians remember this as a truth most deserving of constant application in their daily life. If we are seeking spiritual life, let us seek it there where God gives us the Bread of heaven,—the soul's true food,—namely, in his spoken and written Word. Let us find our soul's daily meat and drink in the devout reading every day of some portion, even though it be but a few verses, of this sacred volume. Think not of the quantity to be read, nor be anxious in selecting what to read! Think only of yourself, as needing in your soul the Bread of Life, and of God, as present in his Holy Word, ready to give to every one that asketh. Little by little, as the body grows, the spirit fed on heavenly food will grow likewise. We may not see the immediate good, any great spiritual change in us on our commencing thus religiously to read the Word of God. But the Spirit of God worketh in secret and in silence. If we have gone to God's Word seeking Life, it will be given us,— given us in such measure as our understanding can admit its Truth and as our will can admit its Good. There may be purgings and cleansings necessary to remove the falsities of the evil heart, and, close to the sinful dispositions, the selfish desires of the natural life, the Word of God may seem to fall cold, hard, and lifeless. Be not deceived nor discouraged by this outward appearance. Imitate not the folly of those who first deny that the Scriptures are Divine, and then complain that they derive no Divine light and comfort from their study; who ask only serpents and stones, and then grumble because they have not fish and bread given them! See that your heart still desires the Bread of heaven, and seeks it from the Lord in his Word. To the son that asketh a fish the heavenly Father will not give a serpent, nor a stone to him that asketh Bread.